Here goes contact details of some of the Dharamshalas between Tulsi Chowk to Laltarao Bridge. STD Code of Haridwar is 0133. Click on the title to get the details. Content courtesy – Uttarakhand Tourism. This entry was posted on Thursday, March 4th, 2010 at 12:58 pm	and is filed under General. You can follow any responses to this entry through the RSS 2.0 feed. You can leave a response, or trackback from your own site. At Bharat sevashram sangha. Pl.let me know the exact location of this place at Haridwar and details of bookings etc for self from 12/05/10 to 14/05/10. Or any govt. accommodation available for private person for self at Haridwar. The date you mentioned is when Kumbh Mela is over, so we don’t think there will be that much of rush at that time. The location of Bharat Sevashram Sanga at Haridwar is near Station and the distance from Har Ki Paudi is about 2.75 kms. You can get your accommodation booked from Bharat Sevashram Sangha Head Office near Ballygunge Station. For government accommodation, you will get the required info in this page itself. At Bharat sevashram sangha or gharwal mandal vikk\as nigham Pl.let me know the exact location of this place at Haridwar and details of online accomadation bookings. I want accommodation on 20.5.11.&21.5.11 at Bharat Sewashram Sangha, Haridwar. Please get in touch with Mr. Nagchowdhury at 9830788403. I want an accomodation for five people from 02/10/2011 to 08/10/2011 at Bharat Sewashram Sangha, Haridawar.Please give me the details and the phone number of the concerned person for booking.Thanks. I am a shisha of Bharat Sewashram Sangha . I leave in Dibrugarh – Assam . I plan to go Haridwar with my family . We are 8 adult and 6 child . There fore I want accommodation on 12.7.11.& 13.7.11 at Bharat Sewashram Sangha, Haridwar. MYSELAF ANIRUDDHA OF COOCH BEHAR,WEST BENGALINTEND TO GO HARIDWAR AND STAYING FOR 7 DAYS AT BHARAT SEWASGRAM SANGA WITH 5 ADULTS 2 CHILDREN OF3.5 YRS.HOW COULD I GET CONFIRMATION OF ACCOMODATION BOOKING AT THE SANGHA? Please get in touch with Bharat Sevashram Sangha directly. I am from Ahmedabad- Gujarat and i want to book a Good Ashram at Haridwar for my family . Total Six persons. Preferably where morning breakfast and meals are available. My dates of visit are 27th Oct-2011 to 31st Oct 2011.Please suggest me some good ashrams with tel nos, email etc and also the booking procedure. i need a Arya samji Pandit for AsthiVesarjan on 13-09-2011, we are coming from Lucknow . I have decided to visit Hardwar in the month of December, 2011 with my family from 20-12-11 to 26-12-11. I will reach Hardwar in the evening of 20-12-11 by Kumbha Express from Kolkata. I am in need of two bed-rooms(one double bed+ one single bed) with attached bath-rooms(provided commot facility) in Bholanandagiri Guest house for the above-mentioned period. Please help me in booking the said guest house and also intimate the rate per day. I am going to Haridwar on 01/04/12 & will stay upto 03/04/12 with my two family member, can I get a room at your ashram ? we are four addult and one children need A.C medium category accomadation from 15/05/12 to 17/05/12. pl let me know the the availability of hotels and how to book hotels. thanking you. we are four addult and one children need A.C medium category accomadation from 15/05/12 to 17/05/12 at Haridwar. pl let me know the the availability of hotels and how to book hotels. thanking you. Myself with my wife will visit Haridwar for seven days in the month of Novemeber,2012.I am residing Farakka & also related with Farakka Bharat Sevashram Sangha.Let me know the position of that time & I shall remain greatful & oblige to you. I am going to haridwar on 31/10/2012 to 3/11/2012 with my one family member.can i get a room in your Ashram? 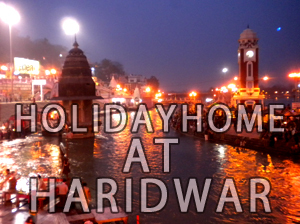 This will be our first trip in Haridwar. Hi, i am sujata, my mother and father will going to Haridware on february. Can they get a room in your ashrame. This is be their frist trip in kumbha mela, so plz help me and reply soon. Many thanks for sharing this extremely helpful bit of information. Your thoughts on this particular subject are incredible and therefore I am sure that these suggestions will certainly apply to other individuals out there. Once again many thanks for sharing. Can someone give me an idea of cost of living in bharat seva sangh.my parents are planning to visit haridwarfor 20 days or a month.give me an cost idea please.i m from chennai. Their charges are moderate and should be around 500-600 per day, but BSS is not located near to Har Ki Paudi, you can alternatively try booking SBI Staff Recreation Club’s Holiday Home, which is very close to Har Ki Paudi, Call 9830947352 or 8420424111 on any office days. any contact no. of Kali kamali dharamshala??????? I, with my family members will visit Rishikesh-Haridwar in the first week of October 2015. May I get your valuable suggestion about staying in Rishikesh location within low-moderate budget. I would prefer like ashram guest houses etc. I want to pass seven days in Haridwar and seven days in Rishikesh for peace. I need accomodation with locally prepared veg. Food at my time. The premises should be in silent area and full of trees and near to river Gangs. Kindly quote me. The accomodation should have self ccontained toilet. I believe this website has got very excellent composed written content content.